We're looking for guests... Share your story on the pod! Schedule a 15-minute pre-interview. I am joined on this episode by Alex Hey. Alex is turning his mess into his message. In this conversation, you will hear Alex share some of his poetry, which is what made Alex stand out to me and invite him onto the podcast. Alex provides us with some of his backstory, which includes a diagnosis about five years ago. Alex also talks about his coaching service, Reset ADHD, and the unique perspective he has. This episode contains the second part of my discussion with Laurie Peterson. Laurie is the owner and director of Diagnostic Learning Services in Plano, Texas. Laurie and her group assess and diagnose students and adults with ADHD, Dyslexia, and other learning disabilities. Laurie was diagnosed with ADHD in her late 20s. On this episode, I am joined by Laurie Peterson. Laurie is the owner and director of Diagnostic Learning Services in Plano, Texas. Laurie and her group assess and diagnose students and adults with ADHD, Dyslexia, and other learning disabilities. Laurie was diagnosed with ADHD in her late 20s. This week, Natalie is sitting in the mastermind hot seat. Natalie has recently experienced some pretty significant life changes. This has allowed her to step back and determine what she wants to do with her life. 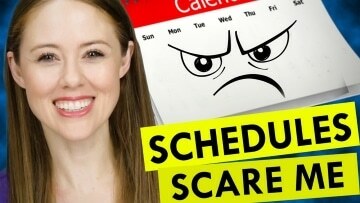 In this conversation, you will hear us walk through some of these things with Natalie. ﻿﻿﻿﻿﻿﻿﻿﻿﻿﻿﻿﻿﻿﻿﻿﻿﻿﻿﻿﻿﻿ This Week’s Episode: This episode is part of a four-episode series of mastermind session. A mastermind group is a concept that comes from the book, Think and Grow Rich. This episode is part of a four-episode series of mastermind session. This week, Sandra sits in the hot seat. 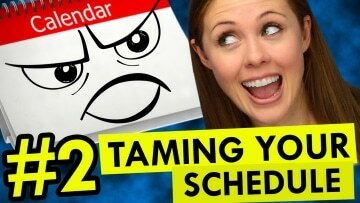 She explores a topic that a lot of us struggle with and we haven’t really discussed on the podcast. 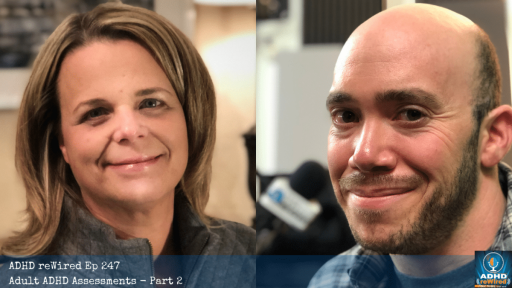 Sandra feels that she struggles with communication and what she calls “verbal regulation.” In this conversation, you will hear us discuss the issues surrounding communication, and the participants share their experiences and the techniques they employ. This episode is part of a four-episode series of mastermind session. This week, Diana will sit in the hot seat, and we are joined by Natalie, Dan, and Sandra. The morning routine on non-urgent days is what has Diana hung up right now. Throughout this conversation, you will hear us offer suggestions, tips, techniques, and strategies to help her make these mornings productive. If you find it difficult to get started in the mornings, you should have plenty of things to try after listening to this episode. Since this is ADHD Awareness Month, I invited members of our alumni membership community to write another letter to their ADHD. 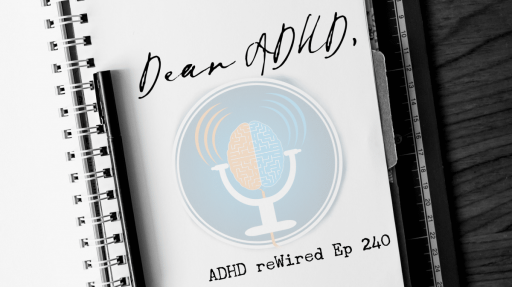 What you will hear on this episode is some of those members reading their “Dear ADHD” letters. 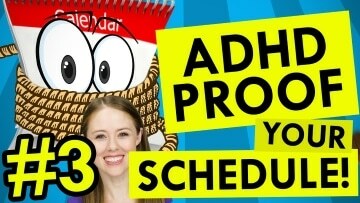 ADHD reWired is the show designed for those of us who have really good intentions, but slightly wandering attention. 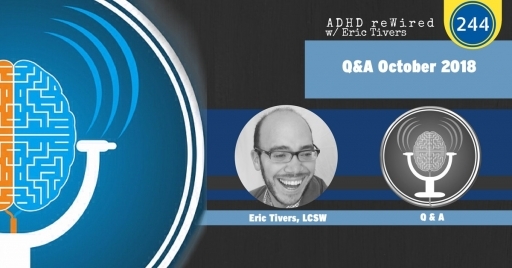 As a psychotherapist and coach in private practice, Eric Tivers has the unique perspective of being both a clinician who specializes in ADHD and an adult who has it. Eric talks openly about his own ADHD and shares with listeners the strategies he’s learned to be successful as well as the areas that continue to be challenging. 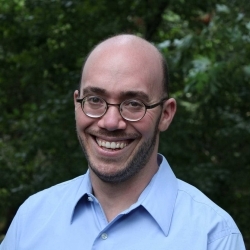 Starting with episode 16, Eric begins talking with listeners, coaches and other therapists.